The Prime Minister's critics have already written him off. They do so at their peril, says Mary Riddell. Gordon Brown could have delivered a modern Gettysburg address or read the football results. His address to both houses of Congress, pitched somewhere in the middle of this spectrum, was never going to inspire rapture back in Britain. Billed as yet another "speech of his life", yesterday's oration had some work to do. Its task, as well as cementing the "special relationship", was supposedly to save the global economy or the scalp of Mr Brown, or both. With more than 40 drafts and an array of contributors, including Tony Blair, the longest SOS note in history was also an appeal for a new American compact with the world by its self-appointed emissary. Mr Brown's paean to America was heavy on emotion, if light on detail. It portrayed the "economic hurricane" less as a disaster than a catharsis, which would ultimately produce a fairer, safer, greener world, from the dealing floors of Wall Street to the schoolrooms of Rwanda. The speech lacked the Prime Minister's usual statistical and literary flourishes. He was said to have toyed with injecting some Robert Burns into the text, on the grounds that Barack Obama's hero, Abraham Lincoln, considered Scotland's great liberal poet to be his muse and guide. Perhaps wisely, the idea was dropped. Many Americans are not au fait with haggis while, back in Britain, Burns scholars might have unfairly exploited any link between the bard and the Prime Minister's pilgrimage to Washington. "Ha! Whare ye gaun, ye crawlin ferlie! Your impudence protests you sairlie," the poet wrote in "To A Louse". Mr Brown's enemies could not have put it more succinctly. His interest in the bond between Lincoln and Burns was, none the less, reflected in the speech. As two of the most respected world figures, the president and the poet shared a humble upbringing, a sense of destiny and a quest for social equality. The PM's assertion that "our first responsibility is to help the powerless" suggested that he saw this synergy replicated in an Obama/Brown partnership of like-minded pioneers. Such temerity would appal critics who portrayed his White House visit as a desperate quest for second-hand stardust. The trip has been combed over for slurs or froideurs and the speech condemned, unseen, for its repentance deficit. There were no flag-draped podiums in the Rose Garden. So what? Are we suddenly nostalgic for the Colgate-sharing, buddy-bonding excesses of the excruciating love-in between Bush and Blair? Do we think that modern leaders should indulge, like Reagan and Thatcher, in the political variant of Mills & Boon? Ooh! No official dinner. What a snub, say critics who normally recoil at world leaders stuffing themselves with lobster thermidor. While Congress welcomed Mr Brown, he could expect little let-up, as he flew home, from being increasingly pilloried as hopeless, self-interested and inept. There are ample grounds for criticism. One senior minister says that relations between No 10 and some other departments are becoming "utterly dysfunctional". As the Chancellor told me this week, there is a need for "collective responsibility" and "humility". In refusing to concede past errors, Mr Brown has not only handed the media a stick with which to beat him; he has also limited himself to a partial account of economic collapse and recovery. Politicians cannot "build tomorrow today", as his speech enjoined, unless they first confront their yesterdays. Mr Brown's story has a middle, but no beginning and no end. That does not make it a bad account. The public parody of Mr Brown does no justice to a vision that couples an international consensus on economic recovery to climate change and universal primary education. Whatever his culpability over City freeloading and lax regulation, he has produced as coherent and impassioned an exit strategy from recession as any world leader. He is right to promote his "new deal" and urge more money for the IMF to rescue crashing economies; right, too, to say that developing countries, such as China, are key to global recovery. He is also well-placed to ensure progress at his G20 meeting. No leader has spent more time on the phone to Premier Wen Jiabao and other international statesmen. Just as Mr Brown is more effective than he appears, so Mr Obama is more hamstrung. Calling time on American exceptionalism will not be easy. Under pressure at home to bolster protectionism, he must â€“ unlike Mr Brown â€“ put every financial measure before both houses of Congress. Reworking US power relative to other players, such as China and the EU, will demand informed allies. With Angela Merkel facing the grim task of saving Europe from financial implosion, Mr Brown should be in pole position. President Bush could have done without Mr Blair in the Iraq war, and he told him so. It is doubtful if his successor could dispense so easily with a prime minister brought low, not by lack of will or ability but, in part, by the carping miserabilists within and without his own party. Critics wonder whether they can bear another 15 months of Brown. They should ask just how well they would fare without him. Voters will, soon enough, have their say on his fate. But if he had been ousted last year, or Mr Cameron had already been parachuted into No 10, it seems unlikely that a "novice" would have navigated disaster so surely. What do we want, exactly, of our leaders? Boldness, experience and compassion count for nothing, it seems, while an awkward manner is the mark of Cain. Political protectionism means that anti-Brownites moan about his US gallivanting, as if the Prime Minister would be better off personally lagging British lofts. In fact, he has been out and about trying to reassure voters, most recently in Ipswich and Southampton. But however much Britons must have help and reassurance, the global soapbox matters. You wouldn't think so, with Cabinet ministers locked in navel-gazing succession wars while, in America, a new president causes the world to shift on its axis. On GuantÃ namo, Iran, Russia and the economy, the US finally has hope to offer. Meanwhile, a prime minister offered the floor of Congress faces surly deafness at home. Mr Brown has many faults. Miscalculations and a mulish streak mean that the self-styled liberator of tomorrow remains a prisoner of the past. Even so, he has shown himself to be the best â€“ or the least bad â€“ leader for chaotic times. No doubt he could have done many things better, but since no one has come up with any brighter ideas, the rubbishing of Mr Brown should stop. He deserves better, and so do we. "There is no such thing as an impossible endeavour," he said yesterday. Don't scoff. The hum of homegrown complaint as he spoke in Washington points to a national death wish. Mr Brown should take the rap for all his errors. But if he crashes to oblivion in the flaming wreckage of economic policy, then Britain goes down with him. Good let the Congress take all the theives out. Wallstreet and London. Congress (Sen. Levin) is proposing the bill, Obama is supporting/ pushing it. This really isn't a bad thing the only people that have massive amounts of wealth in those banks are crooks. So farewell then, Gordon Brown. The Prime Minister has now departed these shores after a two-day visit marked by diplomatic acrimony over the scale and extent of his welcome from President Barack Obama and a well-received speech before Congress. Just before his plane took off from Andrews AFB, Brown received a call from Obama. The President dutifully thanked him for the "pen holder carved from the timbers of the HMS Gannet, which was a sister ship of the HMS Resolute, and first edition biography of Winston Churchill"
He noted that "the pen set is being displayed on the Resolute Desk in the Oval Office and the books are in the President's personal study adjoining the Oval Office". Hmm. Sounds to me that he might re-gift them. Obama "congratulated the Prime Minister on his speech to Congress", though it's doubtful he watched it. When White House mouthpiece Robert Gibbs was asked about it this afternoon, he responded: "I didn't see the speech. I don't know that the President saw it. I don't know that anybody at the NSC saw it." What, then, was the upshot of Brown's visit? Taking everything into consideration, it was a bit of a flop. The White House is irritated that the British seemed ungrateful about the way Brown was treated - their view is that Obama uttered every platitude about the "special relationship" that could be imagined, gave Brown lunch and invited the the press into the Oval Office and gave them 22 minutes of his precious time. It seems that Obama doesn't like the pomp and circumstance thing that his predecessor did. This meant that Brown was always on a hiding to nothing. It's strangle, though, that the candidate who vowed to "change the world" has turned into a President who doesn't want to talk much to world leaders. Let's face it, the Prime Minister is socially awkward. He praise for Obama - "let me thank President Obama for his leadership, for his friendship and for giving the whole world renewed hope in itself"; "the history books will record that what he has done in his first, well, nearly 50 days of office, has been momentous" - was OTT and backfired. Obama doesn't respond to that kind of flattery. He senses it is disingenuous. In many ways Bush gave the "special relationship" a bad name. His friendship with Blair - as with his soul-gazing judgements on other world leaders - was based far too much on gut feelings and personal chemistry. Obama wants to get away from this, and Brown suffered as a result. Blair, who was in Washington at the same time as Brown, also gave the "special relationship" a bad name, particularly in Britain. By being feted in Washington so often - and being given a formal joint press conference during 12 out of his 13 visits - he set an almost impossible bar for his successor. The Tory leader is ahead in all the polls and looks to be on course for a General Election victory in 2010. A lot can change in politics very quickly but Obama is aware that he could soon be dealing with a Prime Minister Cameron, unlike Bush in 2001 who knew he would be with Blair for the long haul. These are tough times and Obama, for one, is not in much of a mood for back-slapping frivolities. When a British reporter asked him in the Oval Office whether he was a cricket fan, his disdain was visible. The tone of the visit was partly set by the economic context. Yes, what commenter Fernandez calls us "Brit press-yobs" bear some of the blame. Virtually the whole British press corps was gunning for Brown beforehand. We are obsessed with the symbols rather than the substance of these visits (diplomats can be too - it's a chicken and egg question as to what came first). When many reporters were left out in the cold and then excluded from the Oval Office, the resultant pique was taken out on Brown in the coverage of him. It's partly how the whole "snub" theme developed. They like to control the President's message and carefully select the media he does - often choosing niche publications and friendly columnists. They'd seen the Bush-Blair press conferences when questions regarded here as impertinent were flung at the two leaders and didn't want a repeat. There was no enthusiasm in the White House for giving the British press an opportunity to, as John Prescott puts it, "throw smart alec questions at Gordon in petty attempts to embarass him in front of Obama". The notion that Brown was "snubbed" by Obama because he wanted to please his racially-aggrieved wife Michelle is insane and based on no evidence at all. Don't think any more needs to be said on the subject. The address to Congress had been given to so many people recently that it no longer has the cachet that it did even in July 2003, when Blair spoke. That was an electrifying occasion - I was in the chamber there for that speech as I was yesterday - and Brown did not get the same reception, though the long (and sometimes gushing, sometimes ponderous) speech was well received. There were fewer actual lawmakers in the chamber for Brown - a congressional reporter I know estimated they made up 40 per cent, the rest of the seats being packed with aides and guests. Some notable figures were absent - for instance Senator John McCain, who did find time to see Blair this week. Oddly, the Senate continued to conduct business and hold committees as Brown's address happened, meaning that some Senators could not be there. In years past, all the bloviating and speculating in the British wouldn't really have affected US coverage. But now the web means that British material is injected much more quickly into the American body politic. Check out this piece from Dana Milbank (printed on page 3 - prime newspaper real estate) of the Washington Post that quotes the Mail, Telegraph and Spectator. Everyone in the political and chattering classes here in Washington read it. A couple of people have suggested to me that the British ambassador's letter to Brown that was leaked to me back in October might have damaged the "special relationship" (I say again: ban this term). That's not the case. I've been told by people in the White House and former Obama campaign staffers that the full text of Sir Nigel's letter was read carefully and viewed as a fair and accurate take on their man. It's a work in progress but all the indications are that behind the scenes, Sir Nigel and his staff have built strong ties with officals in the key areas of the Obama administration. Fleet Street was awash with a mix of uncertainty and glee on the eve of Gordon Brown's visit to the US this week. The austere welcome promised by President Obama stoked Britain's ambiguous sensitivities about the "special relationship", ignoring the practical realities of a severe East Coast snowstorm and global economic meltdown. If the Prime Minister looked out of the window as he crossed the Atlantic he may well have seen the cloud of doom over his premiership darkening. As Brown began the fifth speech by a British Prime Minister to Congress, one could hear the sound of pens being sharpened in preparation for the fall. Brown had looked ill at ease with the President compared to either Blair or Thatcher before him. The first third of the speech was an embarrassing overture to Americana. Laced with history, infusing the special relationship and bestowing the honour of a knighthood on [Sir] Ted Kennedy, Brown primed his audience in the only way a lap dog knows how: with unbridled respect and devotion. The last Prime Minister to address Congress was of course Tony Blair. Brown added to Blair's arsenal of oratory, however, a sense of purpose, a Glaswegian growl to the lap dog's yelp and a hint that there may be a pack of similar animals waiting around the corner with his mention of a united Europe. His speech was effective, yet will be criticised at home for its more glitzy turns. Brown has portrayed himself at home as the stoic leader needed for tough times. Billboards have proclaimed him as "not Flash, just Gordon". But the oratorical turns in his half hour before Congress will have opponents dancing in the Halls of Westminster in memory of his famous gaffe on the floor of the Commons about saving the world. The message of Brown's speech quickly transformed from lap-dog barking to the international statesman talking sense. His message was a call to America to accept the global reality of the economic crisis. Although it was high on idea and low on substance, it included key messages of Brown's politics - especially education. Although he has come from what appears a no win situation domestically, Brown talked repeatedly of his faith in the future. The response to this was mixed, both across the speech and across the floor of Congress, many of his points were well received. In what future does Brown actually have faith? Domestically, David Cameron's position across the floor of the Commons is strengthened with every lost job and every empty shop window on the High Street. Brown was Chancellor of the Exchequer during the boom years and must carry that burden in these tough times. When he calls an election, his position as an international statesman will curry little favour in ballot boxes being ticked by increasing numbers of the unemployed. Faith in the future of his domestic premiership looks misplaced at present. The long term visions which Brown mapped out require serious leaps of faith in these hard times. One finds it difficult to believe that Brown's attitude is that of the man who plants the seed of a tree, the shade of which he will never see, despite the long term challenges he focused on in his speech. The placid response of Congress to his rally against protectionism should certainly temper any fervent faith in that future. The future which Brown talked of is, in fact, much closer. Brown was laying the foundations for April's G20 in London. His centre-left economic message was directed entirely at this key summit which could prepare the ground for a domestic political resurgence, or light up the path he has envisioned out of this global economic funk. But on the grand stage in the Capitol, Brown's vision was painted in broad strokes, its details still unclear. Whatever faith Brown was showing, the domestic response to Brown's speech will be at once more extensive and more ambiguous than any international response. Brown carries the mantle of a fallen empire with delusions of grandeur down a path trodden by sycophants before him, with a domestic cloud of doom hanging over his head. The sometimes enthusiastic applause of Congress will do little to alleviate these domestic burdens while the size of the economic task belittles any grand oratory dedicated to battling it. 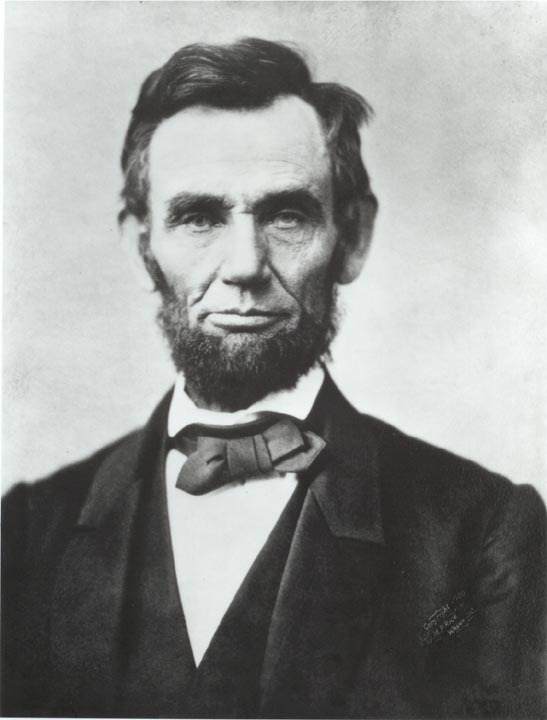 Nevertheless, the speech before Congress was one of the most important and impressive of his political career. Whether his star turn comes close to saving Gordon at the polls at home is almost as unclear as the path he has mapped out of the current global crisis. Not content with throwing out a bust of Sir Winston Churchill from the Oval Office, President Obama did his best to keep the British press corps out as well from yesterdayâ€™s White House meeting with Prime Minister Gordon Brown. Not only was the British leader humiliatingly denied a joint press conference in the Rose Garden as is customary, but most British Washington correspondents were kept out too. It was widely felt in London that the president was largely disinterested in the whole affair. There was a lacklustre quality to it all that did little to assuage the fears that he (Obama) cares not two hoots for the niceties of it all. I would have more insights on the mood and appearance of the president, but like the other DC based correspondents I was deemed surplus to requirements by the White House, who clearly had no intention of letting British and American journalists question the pair, as is customary, for 40 minutes or more. Obama is a very popular figure in Britain, as he is across Europe. But thereâ€™s little doubt that yesterdayâ€™s White House debacle as well as his clear lack of interest in the Special Relationship will significantly dent his standing in the UK, especially with opinion makers who play a key role in shaping the presidentâ€™s image across the Atlantic. Not exactly a smart PR move for a new administration that endlessly boasts about â€œrestoringâ€� Americaâ€™s standing in the world. If this is how the White House treats its closest ally, I hate to think of the kind of reception it is planning for everyone else. â€” Nile Gardiner is the director of the Margaret Thatcher Center for Freedom at the Heritage Foundation. The British are sick of Brown too. He is horrible and he didn't have to fight an election to become Prime Minister. He was appointed. If this is how the White House treats its closest ally, I hate to think of the kind of reception it is planning for everyone else. 1. Love how the Brit press insists on clinging to the closest ally myth. You're not - Ask AIPAC. 2. I think we can probably guess what they've got planned for everyone else - Ask u know who. That is total bull. The Council on Foreign Relations (CFR), is just an adjunct to the Royal Institute of International Affairs. Your entire cabinet is CFR, and most of your presidents this century have been CFR. When the Feral Reserve was created, 1913, you were subsumed into the British Empire. All you are discussing right now are media games and soap opera's. Its all meaningless. That could have been true initially, however since the Cancelation of the open press conference, the 20 minute informal oval office meeting and the 25 American DVD Set that Brown received as a gift from Obama in return for the custom Slave Hunter Ship carved pen.... amongst other things. Now the queen is demanding a meeting the night before the G20 with Obama, a private meeting. I do not really want to get into this thread too much for the time being, but there is something that I have noticed which I believe is relevant. I do not see so much a complete breakdown, but I do see that UK is using their propaganda matrix to shift Obama's policies. 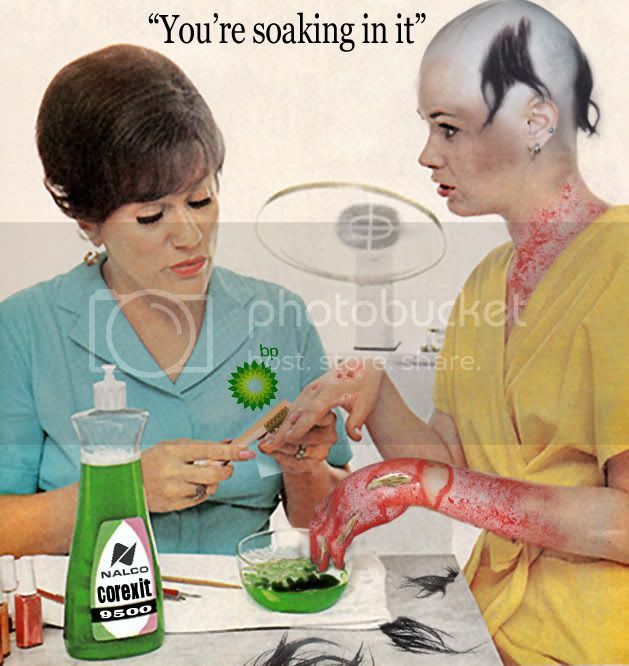 I am noticing that the British Royal Family controlled corporation, General Electric is getting involved. CNBC and the Rick Sentelli moment was a "one off moment", whatever. But now I see Morning Joe going full britzkrieg (over 2 hours non-stop) discussing how Obama needs to give up on healthcare ASAP. I think revolt mentioned something about the royals not wanting hillery (possibly for her obvious healthcare agenda). Well I am completely against socialized healthcare, but why are the GE puppets going full all out trying to steer policy? "Obama must realize that this country is completely bankrupt. He should relaize that he is at a point where people will suffer and possibly be completely ruined because of his selfish healthcare program. He obviously does not have a sense of reality concerning the shape we are in. Geitner has been a disgrace. Obama is off on these tangents and does not have any answers. He is failing and will continue to fail as he deals with irrelevant tangents." I was paraphrasing, it was much worse, for 2 straight hours so far. Is Europe Falling Out of Love with Obama? Europeans were among the loudest cheerleaders for Barack Obama during his presidential campaign. Soon after he won the Democratic candidacy, 200,000 people turned out in Berlin to hear him speak. But now that he is settled in the White House, many Europeans feel snubbed. To many, these might be trivial matters with few implications for the long-term transatlantic relationship. But in Europe they are parsed with dutiful solemnity. Hence the significance of Clinton's visit to Brussels today to meet European Union and NATO ministers and officials. "Europeans never miss an opportunity to read bad omens in a new President," says Daniel Korski, senior policy fellow at the European Council on Foreign Relations. "But if there is one word for Obama's foreign policy, it is engagement. He will want European help in dealing with the financial crisis. He will become more involved in NATO. And to make these initiatives work, he will want a coordinated and integrated Europe." That is not to say there are no points of contention. Vice President Joe Biden told a security conference in Munich last month that although Washington was ready to listen, it expected more from Europe in return. When it comes to Afghanistan, European nations are still dragging their feet on troops. And on trade, Obama narrowly avoided an early confrontation with the E.U. when he changed the language of the "buy American" clause in the financial stimulus bill just days before the congressional vote. Europeans still piqued over any apparent slight by Obama should take a more sanguine view of the transatlantic relationship, according to Michael Emerson, associate senior research fellow at the Brussels-based Centre for European Policy Studies. "Europe is not a threat to the United States, so it does not impose itself on the agenda," he says. "By contrast, China is at the top of the agenda because it is funding so much in America, and the priority at the moment is the economic crisis. The transatlantic relationships is all about substantive questions, so Europe is just not an issue." Remember that, in Orwell's 1984, Britain allies with America against West Asia (The rest of Europe). Don't be fooled by posturing and fictional divisions. We are all human, united against the Illuminati! I will get involved in this at this point, with the US attempting a raid on UBS amongst other things, 1984 is a book - this is reality. The banks in the proposed raid for tax evasion are the Elites bread and butter with an admitted 13 Trillion dollars in tax evaded loot. That is ALOT of money. If those US accounts are exposed it will expose all who have dual citizenship US/UK/France bank accounts by default, the people with dual citizenship are generally the problem. In the past when propaganda was spread around US , UK/Common Wealth and other countries all joined in at once. This time the UK Press had a completely different stance then other countries. The UK Press was amping up Browns visit , citing the "Special Relationship" for a week. The point of the Brown/Obama meeting was to get the US behind the UK's "Grand Bargain". The Heritage Foundation and the Margaret Thatcher Institute were whaling away at Obama that he "MUST" renew the "Special Relationship" and cooperate with Brown. Now they are whaling away that Obama disrespected Brown, while the majority of US press isn't even mentioning the meeting at all. I don't see coincidence when Obama insults Brown by canceling a press conference and looking at his watch over and over again while Brown is speaking at the "informal" meeting. Now the Queen demands a "Getting to know you" meeting the day after he )(Brown) flies home, with a box of 25 classic "American" DVD's (This has a subliminal message that i've noticed) . The meeting happens to be the night before the G20 Summit (What a suprise). The Royal Family do not like publicity, especially phillip and elizabeth, yet the Queen requested (or demanded) a "PRIVATE" meeting with Obama after this happened. The UK Press polarized it immediately, if this were on the Agenda it would remain secret, i have no doubt about that. If this were a script the Queen would want to stay out of the limelight. I still see a big rift that is growing daily as the EU is threatened to split in half due to the Eastern EU countries collapsing and Brown argueing that Germany should bail them out. I think the UK is losing control of the EU. What is Obama going to do? i haven't the slightest idea, but it looks to me like he is going to go over the Queen and London's head to deal with the EU. We're going to have to wait for the London G-20 Summit (of course the most importent meeting in history would be in London, as demanded by the UK) to see how this plays out. What do you make of the end of this article?. That is total bull. The Council on Foreign Relations (CFR), is just an adjunct to the Royal Institute of International Affairs. Your entire cabinet is CFR, and most of your presidents this century have been CFR. When the Feral Reserve was created, 1913, you were subsumed into the British Empire. All you are discussing right now are media games and soap opera's. Your assumption that it's my cabinet is a touch wide. I live a couple of hundred miles from you. It's because I see them for media games that I don't associate myself with the 'Brit' label they like to parrot. There is an Empire, but it's no longer a purely British construction. And are you really saying AIPAC holds no influence in DC? I would see Aipac, etc, as subservient to CFR, which is subservient to Royal Institute for International Affairs. But remember, they are internationalists, the policy groups have geographic focus, but only because of necessity. They are all linked into a web of foundations and round table groups, funded from the big money changers, which operated for and by the illuminist financiers who own the banking system. Barack Obama was supposed to make the rest of the world like, if not love, America again. With his charm and sophistication, he would show our cultural superiors overseas, particularly Europe, that America had graduated from cowboy chauvinism to coffee-shop worldliness. Then an actual European visited the White House, with the whole world watching. Oops. As the British -- or "the Brits" as the President called them during a brief press availability -- might say, the President dropped a clanger, all right. Click for Editorials & Op-EdsOn their first official visit to the United States, British Prime Minister Gordon Brown and his wife came to the White House bearing the traditional grand gifts. The prime minister gave Obama a pen holder carved from the remains of the HMS Gannet, a warship that once ran anti-slavery missions along the African coast. The desk in the Oval Office is made from the wood of the Gannet's sister ship. Brown also gave the President a first edition of Sir Martin Gilbert's seven-volume authorized biography of Winston Churchill. This was apparently a response to Obama's having ungratefully sent back to England in January a bust of Churchill lent to the United States after 9/11. Obama's gift to Brown? A box of 25 DVDs. Then Obama canceled the customary joint press conference on account of snow and held a small press availability, leaving out more than a dozen British reporters. The President acted bored by all of it, rotely acknowledged Britain's status as America's closest ally, and left the prime minister to go greet some Boy Scouts. The socially sensitive Britons went bonkers. The Independent, a left-wing British newspaper, editorialized that Obama gave merely a "stale paean to the 'special relationship.' "
In a news report, it wrote, "Brown faces humiliation" and "The trip is in marked contrast to the hospitality lavished on Tony Blair by George Bush when they met for the first time." The entire British press was inflamed with outrage that the American President had treated the prime minister of Great Britain so shabbily. No one would have thought that George W. Bush could be made to look like a sophisticated gentleman compared to Barack Obama. But Obama just did it. Was Barack Obama really too tired to see Gordon Brown last week? As Gordon Brown looks back on his visit to the US and the rather low-key entrance afforded to him by the new US government the US authorities are now suggesting that Barack Obama was "too tired" to welcome Gordon Brown "properly". While this may go some way towards diffusing the suggestion that he had been sidelined by the US administration there is no getting away from the fact that his visit to the US was less than spectacular. There is no doubt that Barack Obama has been working around the clock since coming to office with a number of high-profile rescue packages already signed off and more apparently in the background. He has also been very busy reorganising his presidential staff and putting in place his key advisers, which include Hillary Clinton, as the US government attempts to instil some confidence back into the country. While Gordon Brown attempted to team up with Barack Obama as one of the champions of the world there is no doubt that the US authorities are putting the US economy first and the worldwide economy second. In reality if the US economy does recover this will inevitably drag the worldwide economy out of the current recession and back into expansion mode. Barack Obama should be careful how he treats the British - one day he'll need us, says Iain Martin. Barack Obama gave Gordon Brown a tepid welcome When an American leader is preparing to meet his British counterpart it is said that an official usually offers one final piece of advice: "don't forget to mention the special relationship." We Brits are seen as so needy that we will have a national, collective nervous breakdown unless we hear the magic words. In reality, the phrase has become a joke: the Americans know it, we know it and I suspect that they know we know it. Hillary Clinton could not disguise a knowing smirk when she used the words. Last week, it was the turn of a new president to play this old game. How would Barack Obama handle Gordon Brown's visit to Washington? The answer, sadly, is badly. He remembered to deploy the requisite term; but from the start of the trip, Team Obama behaved as though it simply could not be bothered having the British â€“ their only allies of consequence in Afghanistan â€“ in town. At first, there was to be no formal press conference; then the Americans agreed to a short Q&A in the Oval Office. But Number 10 had to beg for it. Throughout, Obama looked, to this observer, indifferent to the whole business. And then there were the presents. The Browns had taken a degree of care, arriving with a pen holder made from the timbers of HMS Gannet, an anti-slave trade ship, and a first edition of Gilbert's seven volume biography of Churchill. The Obama daughters received dresses and necklaces chosen by Sarah Brown. Did the Obamas spend more than a few seconds thinking about gifts in return? For the Brown sons there were matching models of the President's helicopter, suggesting a last-minute dash by an aide to the White House gift shop. The grown-up Browns were even less lucky: they received a box of 25 DVDs, including ET, The Wizard of Oz and Psycho. Small details, yes. But in diplomacy the micro-detail is often key to understanding the bigger picture. Margaret Thatcher and Ronald Reagan appreciated the importance of choreographing their appearances correctly. That they bothered enough to get it right shows how serious they were about wanting the world to understand that they shared a mission of extending economic freedom and winning the Cold War. And that is the root of the problem. For all the PM's talk of the need for a global solution to the economic crisis, there is no shared American and British mission. The first few months of Obama's presidency are turning into a car crash (last week, US unemployment hit a 25-year high). Consequently, his primary concerns are national, rather than international, his time too scarce for Brown's grand visions of global new deals and reformed regulatory structures. And anyway, when he does need to look abroad for economic partners, why would it be to Britain? His main focus will be China. In April, of course, Obama and other world leaders will be in London for the G20 summit. Sadly for Brown, the handshakes and communiquÃ©s will not mark the birth of his imagined new order â€“ rather, the framework of markets and trade will be reconstructed over the course of a decade and more. And there will not be much demand for the services of an architect of the previous system, which has collapsed with such dramatic consequences. The contract for rebuilding is as unlikely to be handed to Gordon Brown as it is to Alan Greenspan. Consider this: Obama is only starting his period in office. He will, conceivably, hold power until January 2017. Where will Brown be then? Where will he be in 15 months? And what of the wider "special relationship"? Obama is not the first new president to seek to "date other people". Many before him have begun their first term in pursuit of a broader range of allies, such as the French and the Germans, on matters military and in the sharing of intelligence. They usually discover that all that is on offer in the field is extra help with the catering duties. For sustained co-operation, the Brits have the best track record. However, thanks to the economic crisis, there is a real and depressing possibility that the outcome may be different this time. True, most of America's potential friends are in a poor condition thanks to the economic climate. But Britain, with its wrecked public finances and unbalanced economy, is in an atrocious position. It will take decades of hard work, narrowly focused on the restoration of national prosperity, before we can step forward as an attractive ally once more. What a legacy for that great global show-off Tony Blair: the seeds of this decline were sown during his premiership. All this depresses the life out of an Atlanticist such as me, who is immensely proud of the good that has come from the alliance between our two countries. Yet, we may be entering a period when the UK's concerns will be a good deal more prosaic. In the hard years ahead there will be little time, energy and money left over for British global grandstanding. 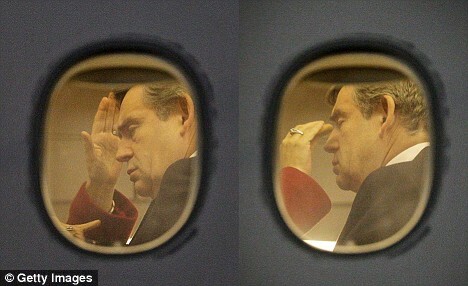 The full depth of Gordon Brownâ€™s anger over suggestions that he should apologise for the recession was laid bare in extraordinary scenes on the Prime Ministerâ€™s plane last week, 30,000 feet over the Atlantic. In recent weeks, Mr Brown has been under growing pressure from fellow Ministers, including Peter Mandelson, Alistair Darling and Ed Balls, who fear his refusal to say sorry could hinder the Governmentâ€™s chances of winning public support for his economic recovery plan. All three have urged him in fierce behind-the-scenes talks to admit that the Government â€“ and Mr Brown himself, as Chancellor for ten years â€“ have made mistakes. But Mr Brown has vehemently resisted the moves â€“ and his anger boiled over in a series of outbursts during his trip to see US President Barack Obama. The Prime Minister stormed: â€˜You want me to go on television and apologise, but I am not going to do it. The row started when Mr Brown spoke to newsmen on his flight to Washington on Monday evening. Showing a combination of anger and passion never seen in his public appearances, he explained why he will not say sorry for the banking collapse. Notebooks and tape recorders were banned at the off-the-record briefing, but The Mail on Sunday, which was not present, has obtained an account of what happened from witnesses. Tipped off that the reporters planned to ambush him over the apology issue, jacketless Mr Brown was determined to get his retaliation in first. When one reporter asked why he had let banks get out of control, Mr Brown leaned towards him and said: â€˜Youâ€™re saying I got it wrong? But I didnâ€™t. The same problems have happened all over the world and our regulations have been better than anyone elseâ€™s. â€˜Get in the real world. People are saying it is my fault and that I caused the recession. They are wrong. It is not my fault. When another journalist tried to defuse the situation, Mr Brown refused to be diverted. â€˜No, letâ€™s sort this out now, letâ€™s have it out now,â€™ he said, jabbing his finger. Things got worse when Mr Brown landed in Washington and he learned â€“ to his horror â€“ that back in the UK, Chancellor Alistair Darling had defied him by saying the complete opposite. â€˜Faultâ€™ and â€˜humilityâ€™ are two words Mr Brown refuses to use. Now he was furious. Frantic calls were made to the Treasury from No10 aides in Washington demanding to know why Mr Darling had â€˜stepped out of lineâ€™. Nor was Mr Brownâ€™s mood improved by the Obama teamâ€™s decision to downgrade plans for a joint Press conference in the White House Rose Garden to a so-called â€˜pool sprayâ€™ â€“ a brief and awkward appearance together in the cramped Oval Office. The White House was surprised to learn there were reports in the UK that Mr Obama had snubbed him and went out of its way to praise Mr Brown. But the pressure on Mr Brown will not go away. The Tories have launched a â€˜make Gordon say sorryâ€™ website. And Schools Secretary Ed Balls, previously seen as Mr Brownâ€™s closest Cabinet ally, nudged the Government closer towards an apology on Thursday, saying Labour had â€˜underestimated the risksâ€™ of a banking collapse. It is not the first time that an intense Mr Brown has appeared to be in a state of denial. He had an almost identical outburst, once again on a plane trip during a visit to the US, last April over his decision to scrap the 10p tax rate. As Ministers and Labour MPs urged him to back down, he brushed it aside, saying privately: â€˜No one will lose out. It is just one or two MPs asking questions.â€™ Within weeks, he was forced to scrap the 10p tax rate and has apologised for the mistake. It is yet to be seen if he will eat his words and say sorry for the recession. March 8, 2009 (LPAC)--President Obama's snub and studied disrespect for visiting British Prime Minister Gordon Brown, reported as the chief political news this morning, served as a perfect backdrop to Brown's frantic lies in his address today to a joint session of Congress. Brown delivered a perverse fantasy, in which America's historical resistance to British imperial crimes, became instead a record of unified Anglo-American purpose. He defined America's task now as preserving the British-led international banking swindle, in opposition to any attempt to rescue the world from that collapsed system. The British spokesman said, "The very creation of America was a bold affirmation of faith in the future...." This is useful: we had previously thought that the British had played a negative role in the American Revolution. Brown explained that the world "looked to Washington D.C. as `a shining city upon a hill,'" and that "our friendship [was] formed and forged over two tumultuous centuries...." By that chronology, the friendship got off to a roaring start about when British forces burned Washington to the ground (1814), and got even friendlier with British aid to the slaveowners' Confederate war to smash the U.S. He said he "grew up in the 1960s as America, led by President Kennedy, looked to the heavens and saw ... a new frontier...." Unfortunately, the British-Wall Street axis murdered Kennedy for having such an outlook. No doubt to remind us of the danger such a point of view can put a President in, today's London Times carries, right beside a transcript of Brown's speech, an archive photo of President Kennedy being shot to death in Dallas. Brown announced that the majestic British queen has awarded an honorary knighthood to the stricken Senator Ted Kennedy, because "Northern Ireland is today at peace." Well, it is truly a puzzler to remember, which occupier was it, that brought centuries of cruelty and chaos to Ireland, requiring U.S. intervention to bring "peace"? The successor to Tony Blair said "we grieve with you" when "a young American soldier is killed in conflict ... in the plains of Afghanistan and the streets of Iraq." This is good to know, after Blair's WMD intelligence buoyed up Bush for Baghdad, and now that British forces directly superintend the global heroin trade's center in the Afghan Helmand province. Brown declared his "support to ensure there is no hiding place for terrorists, no safe haven for terrorism." That will come as thrilling news for U.S. and other intelligence services coping with "Londonistan" -- the undisturbed English headquarters for most of the world's terror groups, groups financed by British-laundered dope profits. The Prime Minister lectured America and the world on how to deal with the "economic hurricane" that "has swept the world." As the City of London's quadrillion dollar offshore banking pyramid dissolves, Brown says, "you [U.S.A.] are restructuring your banks. So are we [British]. But how much safer would everybody's savings be if the whole world finally came together to outlaw shadow banking systems and offshore tax havens?" This attitude is especially refreshing, correcting the impression Brown gave earlier in his visit, when he was reportedly desperate to head off U.S. moves against offshore criminals. He assured the Congress that if his program is followed, we will see "trade once again the engine of prosperity, [and] the wealth of nations restored." How the heart sings! -- to hear again from the British source, the truths of Free Trade, of Trade itself (rather than production) as the source of wealth, and the grand homage to the East India Company's Adam Smith, whose 1776 book "Wealth of Nations" warned the American rebels they could never escape destiny's assignment to be mere plantation suppliers of raw materials to the foreign empire. He closed with praise for Franklin Roosevelt, which was very reassuring in light of the attacks against FDR now pouring out of London into the world's media, reviving Churchill's central role in burying FDR's policies after World War II. With this, Brown called for renewal of the "special relationship" that has blazed so brightly over the years. To President Obama, GB was "Prime Minister Brown". For Gordon, it was "Barack and I". It jarred. And, watching it on TV from London, it only got worse. Asked for a personal assessment of Mr Brown, Barack Obama counted the number of times they have met (3) and commented, underwhelming, "the relationship has grown." Not a single positive personal remark was about directly about the Prime Minister. Even Bush managed better than that. Brown gushed back anyway, as he sat leaning slightly desperately into Obama, looking contorted and uncomfortable. It wasn't helped by the way few seemed to know exactly what was going on, With the absence of a formal press conference, British hacks blurted out their own questions anyway in a slightly unseemly way. Not their fault - why weren't things sorted out earlier? Many squeezed into the back of the Oval office. It wasn't very dignified on TV. But worst of all, Obama talked about the wrong subjects (Hungary? where did that come from) and showed little interest in Brown's cherished G20 summit in April, lecturing him on the need to be respectful. Obama also dropped Brown in it by insisting that "mistakes have been made" in the past - not something that is coming from GB's lips today. In conculsion there was little statesmanlike about that messy bunfight in the Oval office just now. And whoever mismanaged expectation over a press conference will no doubt already be paying the price. March 8, 2009 (LPAC)--The ongoing British war plan to destroy the United States and the nation-state has blundered again. Senior sources in the British Foreign and Commonwealth office told the London Daily Telegraph that Gordon Brown wants to use Prince Charles' "elevated role as an international statesman" to push global warming-motivated fascist economic policies and carbon-trading financial bubbles. The senior FCO source, who may be George Soros' controller Mark Malloch-Brown, told the Telegraph that Crazy Charlie will "will meet Barack Obama when the new US President comes to Britain next month for the G-20 Summit." Immediately, Prince Charles will deliver a keynote speech in Rio De Janeiro on March 12 which will warn, "There are only 100 months [targeting the eight years of Obama's Presidency] to save the world!" The Telegraph emphasizes: "It is the Foreign and Commonwealth Office (FCO), not the Prince himself, which chooses the location for his royal tours, and South America is considered the ideal platform for his views." The British FCO sources say the Gordon Brown's government wants to make more use of Charles' contacts on the foreign stage, and his passion for genocide packaged as preventing "climate change," a British-invented hoax. Charles begins a 10-day tour of Ibero-America today, which will take him to Brazil, Chile and Ecuador. In Brazil, Charles will use the world's largest rainforest as a backdrop to demand the climate change agenda which will be pursued by 170 governments in Copenhagen in December. In the Ibero-American tour, Charles "will be playing an elevated role as an international statesman working on behalf of the Government to support British interests on key issues." Charles will also be sicked on President Obama at the G20, the Telegraph reports, citing it as sign of Charles' elevated role: "They will meet at, or even before, a Buckingham Palace reception, when the Prince is expected to raise climate change issues with the President." The Foreign and Commonwealth Office summed up the usefulness of Prince Charles for the British genocide agenda: "The Prince's commitment to sustainable development is very much in line with one of our main priorities." President Obama Dissed "The Brits"
March 8, 2009 (LPAC)--On March 3, President Obama triggered British press hysteria and signaled why he is a threat to the British empire, and they to him. With British Prime Minister Gordon Brown following, President Obama strode into the Oval Office that morning for photos and a few informal questions from press, having "descheduled" any press conference with Brown. Obama sat down, spent a moment deliberately surveying the room, and then said, in a very sardonic tone, "All right, where are the Brits?" A British reporter, part of a group at whom Obama was now staring fixedly, said "Here we are, Mr. President." Another on the other side of the room chimed in, "We're over here." Brown lamely tried a joke: "The Brits are everywhere." But the President, still looking toward the same group," said "OK, let's get started with the Brits." This brought the a question from a British reporter whining to Obama that he didn't seem to regard the Special Relationship as very special. Obama pigeonholed it as "one of our most important foreign policy relationships." He then progressed to the open ragging of the British Prime Minister described in Dana Milbank's Washington Post column the next day. After the brief session, according to New York Times reporters, Brown gave Obama the gift of a desk pen holder carved from wood of the 19th-Century British "anti-slave ship" HMS Gannett. This effort to "profile" the President was supposed to match the Oval Office desk carved from the HMS Resolute's wood, a gift of Queen Victoria. But Obama, the Times reported, gave Brown a "derisory" host gift of some motion picture CDs--one of which was "Psycho"! Last week, Gordon Brown rhetorically asked the US Congress how much safer people's savings would be "if the whole world finally came together to outlaw shadow banking systems and offshore tax havens". "Much safer!" came the reply to hearty applause. There is no reason to doubt the sincerity of the ovation. But there must have been a handful of congressmen present who wondered whether the prime minister wasn't in a position to do something about the problem. We shouldn't forget that 11 of the world's 37 "suspect jurisdictions", as defined in a proposed US anti-tax-dodge law, are inextricably linked to Britain. If this Gordon Brown is so opposed on principle to tax evasion, those congressmen might have asked themselves, why did he not as chancellor demand transparency from Jersey, the Cayman Islands, Bermuda, and the rest? There are two answers to that question. The one Downing Street promotes is that there was no sense in tackling tax havens alone, and before the credit crunch there was no international appetite to address the issue. But now, goes this line, Mr Brown is well placed to spearhead the kind of global reforms that he has always intended. The other view is that Mr Brown was captured by the City. So determined were New Labour's leaders to dispel the impression that the party was against business that they made themselves its client. The service included defence of tax privileges. With Mr Brown in the treasury, Britain regularly lobbied at the UN and the EU against moves to bring financial services under greater multilateral supervision. Only after the economic iceberg was struck did Mr Brown denounce the pilots of Titanic finance. It doesn't matter really whether Mr Brown's aversion to tax havens is old conviction or new opportunism, if he now acts on it. By avoiding taxation, a super-rich minority catch a free ride at the expense of the less wealthy majority. At a global level, for example, mining companies use havens to deprive developing countries of the revenue from commodity exports. About Â£8.2 trillion of private wealth currently sits in havens, undeclared by its owners in their country of residence. That represents Â£180bn in lost tax - more than double the world's global aid budget. Tax avoidance costs the UK treasury Â£25bn a year. But cracking down on havens would serve a purpose more profound than raising cash for an indebted government. It presents an opportunity to recast the debate around taxation in moral terms. An axiom of the now discredited economic orthodoxy of recent years was that any taxation on business was undesirable, since it discouraged enterprise. By extension, the less companies (and individuals) had to pay, the more competitive they would be, bringing economic advantages - employment, cheap goods etc - to all. That view is contained even in the term "tax haven", with its connotations of sanctuary. A better expression is "secrecy jurisdictions", where, along with the profits of legal activity, the spoils of fraud, terrorism, drug trafficking and plunder by despotic regimes are hidden. That is the company that global businesses keep when they operate offshore. It is true that excessive taxation harms business. It is also right that governments should be allowed to attract companies by offering competitive tax rates. But there is a difference between creating a tax regime that is good for open commerce and setting one up to be deliberately opaque. Regimes that do the latter should be ostracised by international treaty. It should be a goal of G20 leaders meeting in April to begin negotiating a universal convention on transparency in accounting for profits - and paying tax on them - in the jurisdiction where they are earned. National governments could then ban businesses from operating in countries that were not signatory to such a convention. Multinational companies could then choose whether they want to behave like responsible citizens in a global economy or like organised crime. Gordon Brown also has a choice: to act against tax havens or limit himself to empty rhetoric. He would like to be thought of as a long-standing champion of global financial regulation. The reality is that, by what happens at the G20 summit, he will be judged a late convert at best, otherwise a hypocrite. I expect alot of huffing and puffing... but the house will still be standing. While foreign rivals may make payoffs routinely, U.S. firms face new pressure to root out abuses. Even though the FCPA was created to prevent corruption, numerous organizations, at first, were â€œfearful that the act would place them at a competitive disadvantage with foreign competitorsâ€� (Snow, 2006). What we are seeing is a consolidation of State Sponsored Money Laundering. With Enterprise Risk Management Tools such as provided by Ptech and E-Systems, TIA - total informational Awareness is creating a centralized system of controlling Global laundering operations. This is in the aftermath of 9.11, as new banking regulations (AML - Anti money laundering) have been implemented. But like the drug traffic, we know the banks are still laundering, with the new laws and rules, how could this be? In short, authorized transactions will not be "flagged". Also (money) smuggling via diplomatic pouch, I would think could be on the rise. Remember, that the real story behind the BAE "Al Yamamah" scandal is that, under the arms-for-oil barter deal, the British accumulated well-over $100 billion, in off-the-books, offshore funds, that have been used to finance covert operations, for the past 23 years (the deal was first signed in 1985, and has been regularly updated ever since). Dude that post highlights the most importent aspects of the Anglo Dutch Anglo Saudi aliance, great job. Thanks, One thing that I have no evidence of, yet, is that like the push for Internet 2, there will be a banking network 2 which will allow the laundering network to continue on an un-monitored "channel" thus solving the selective enforcement problem completely. i.e. another system of books for the participating laundering "banks" similar to what's happened to government CAFR books. The underground economy will go completely off-book. efforts with universities and research institutions in the U.S. and around the world. in providing remote instruction and training workshops via IP videoconferencing. IBM's Zurich research laboratory has developed a USB stick that the company says can ensure safe banking transactions even if a PC is riddled with malware. A prototype of the device, called Zone Trusted Information Channel (ZTIC), is on display for the first time at the Cebit trade show this week. IBM hopes to entice banks into buying it for online banking, which saves banks money on personnel costs but is constantly under siege by hackers. When plugged into a computer, ZTIC is configured to open a secure SSL connection with a bank's servers, said Michael Baentsch, product manager for BlueZ Business Computing at the Zurich lab. ZTIC is also a smart-card reader and can accept a person's bank card for verification. Once a PIN is verified, a transaction can be initiated through a Web browser. The ZTIC, however, bypasses the browser and goes directly to the bank. It ensures that the data exchanged is accurate. Since it has a direct secure connection with the bank's servers, the ZTIC will show the amount that actually has been requested to be sent. So even if the browser shows a confirmation for $100, the ZTIC will show $1,000, indicating a man-in-the-middle attack in progress, Baentsch said. The user would know to reject the transaction and press the red "x" button on the ZTIC. The U.S. and Britainâ€”What â€œSpecial Relationshipâ€�? Doubts emerge about the continuing strength of the special relationship between America and Britain under the Obama administration. Ron Fraser Was it a snub or not? Britainâ€™s Prime Minister Gordon Brownâ€™s recent visit to Americaâ€™s new president turned out to be far less than heâ€™d obviously hoped for. At the conclusion of his visit, observing that American press coverage had been particularly poor, the Mail Online stated that â€œabc News gave Mr. Brown less prominence today than it did a story about a sleepwalking dog that walked into a wallâ€� (March 5). A series of events (or lack of them) underpinned the degree to which the Obama administration has changed the official government view of the â€œspecial relationshipâ€� that has been taken for granted by both Britain and America for well over a century. Reality was already beginning to dawn when Prime Minister Brownâ€™s entourage landed at Andrews Air Force Base last Monday night for the prime ministerâ€™s two-day visit to Washington, the first by any national leader since President Obamaâ€™s inauguration. Dana Milbank of the Washington Post noted that â€œObama, breaking with precedent, wouldnâ€™t grant the prime minister the customary honor of standing beside him in front of the two nationsâ€™ flags for the tv cameras â€¦. For the presidentâ€”beloved by the world largely for the fact that he is not Bushâ€”it was a surprisingly cool reception for an allyâ€� (March 4). Then the British Foreign Office noted the cancellation, due to a heavy snowfall, of a planned press conference due to take place on Tuesday with President Obama and Prime Minister Brown on the White House lawn. In its stead, the prime minister was offered a far briefer, more low-key affair in the west wing of the White House with limited exposure on camera and only a handful of questions permitted. The fact is that, judged by early indications, the historic special relationship between the United States and Britain has lost much of its gloss since the passing of its Blair-Bush phase. Suspicions of a drastic change in Anglo-American relations were heightened when, during the White House press conference, the president himself demoted Britain from its prior status as Americaâ€™s staunchest ally to the status of â€œone of our closest, strongest allies.â€� To place that statement in its true context, we only have to ask and answer the question, What nation has been more committed to U.S. foreign policy and its military adventures over the past hundred years than Great Britain? Name any theater of war where the U.S. has sought additional support, and itâ€™s been Great Britain that has been to the fore as the most ready of any power to place itself at Americaâ€™s disposal. Such has been the case since Lord Salisbury and Theodore Roosevelt cemented the Hay-Pauncefoote Treaty of 1901. Since then, the â€œspecial relationshipâ€� between the U.S. and Great Britain has been, as Andrew Roberts has rightly pointed out, â€œthe single most important geopolitical factor in the 20th century and beyondâ€� (A History of the English-Speaking People Since 1900). The relationship between Salisbury and Roosevelt became but the forerunner to a series of close relationships between the leaders of both countries as exemplified in what Roberts refers to as the â€œFDR-Churchill, Reagan-Thatcher and Bush-Blair friendships.â€� Under those leaders, Great Britain was the closest and strongest ally of the United States! Having watched the Obama-Brown press conference a number of times, I am struck by just how uncomfortable and hesitant the president was when simply asked a question as to just how strong the â€œspecial relationshipâ€� remains. Though President Obama appears most eloquentâ€”even smugly glibâ€”when he has a teleprompter at his disposal, he is a far more hesitant speaker off the cuff. Whereas, at least in the brief exposure granted during the short press conference, Prime Minister Brown spoke in a generally smooth-flowing extemporaneous style, the presidentâ€™s responses to questions about the relationship between the U.S. and Britain were peppered with innumerable â€œersâ€� and â€œahsâ€� and embarrassing pauses as he seemed to struggle to seek the right word to convey his intended meaning. This hesitancy certainly conveyed a lack of any real depth of feeling on behalf of the president for any semblance of a â€œspecial relationshipâ€� between Britain and America. The impression was given of a presidency that is far from deeply committed to the historic special relationship that has cemented an unwritten alliance between America and Britain for well over a century of time. That grand old statesman of Germany, Otto von Bismarck, when asked, â€œWhat was the decisive factor in modern history?â€�, replied, â€œThe fact that the North Americans speak English.â€� Though the Americans still have that language in common with the British, the signs are that America and Great Britain may no longer speak the same political language as they did under previous U.S. presidential administrations. In his speech to a joint session of the U.S. Congress last Wednesday, Prime Minister Brown declared, â€œ[L]et it be said of our friendshipâ€”formed and forged over two tumultuous centuries, a friendship tested in war and strengthened in peaceâ€”that it has not just endured but is renewed in each generation to better serve our shared values and fulfill the hopes and dreams of the day. Not an alliance of convenience, but a partnership of purpose.â€� Whether Prime Minister Brownâ€™s desire for a â€œpartnership of purposeâ€�â€”the very phrase itself indicating a lessening of the historic â€œspecial relationshipâ€� between Britain and Americaâ€”will be reciprocated by the Obama administration remains a moot point. In the great game of international diplomacy, symbolism plays a vital part. Thus it was that upon gaining access to the Oval Office, President Barack Obama promptly returned the bust of Sir Winston Churchill, given on loan by the British government during the Bush administration, to Britain. Rather ironically, Mr. Brownâ€™s gifts to the president included seven volumes of Sir Martin Gilbertâ€™s Churchill biography. Concerned that at least some symbolic representations of the historic relationship between the U.S. and Britain be on display during President Obamaâ€™s term in office, Prime Minister Brown also presented the president with a pen holder made from the timber of the former slave-liberating ship hms Gannet, and a framed commission of its sister ship, hms Resoluteâ€”the timbers from which the presidentâ€™s desk in the Oval Office is made. In return, President Obamaâ€™s gift to the prime minister seemed completely devoid of any historical recognition of the British and American special relationship. The Evening Standard reported, â€œGordon Brown has been given a collection of 25 classic American films on dvd as his official gift from Barack Obama. â€¦ The prime ministerâ€™s reaction to getting dvds is not known. Mr. Brown is not noted for his love of cinema â€¦â€� (March 5). WASHINGTON (AFP) â€” On the eve of British Prime Minister Gordon Brown's speech to a joint session of the US Congress, a key senator said Tuesday that London needed to "be more helpful" in confronting Iran. "Great Britain could be more helpful than it has been in support of US policies that would prevent Iran from acquiring nuclear weapons," Senator Jon Kyl, the Senate's number two Republican, told AFP. "I appreciate that this economic crisis is very much on the minds of people both in Great Britain and the US, but strategically there are things we need to do to work together and I don't like to see them ignored," he said. Kyl said Britain, a key US partner in putting diplomatic pressure on Tehran over its suspect nuclear program, was not doing enough to help Washington pile economic pressure on the Islamic republic. He urged Brown to consider stepping up efforts to restrict banking relationships with Iran, either by helping to punish banks that do business in Iran or banks that work with banks that do business there. "There's been some cooperation there with Great Britain and some of the other countries. There could be more," he said. "While there is a great strategic relationship between us, I would hope that maybe he would be willing to address what Great Britain could do to assist us," during his visit to Washington, he said. Europe by using a visit next month to Turkey, which is ruled by a moderate Islamic party, to court the Muslim world. Mr Obama is expected to travel to Turkey after the G20 global summit in London on April 2nd before making subsequent stops in France, Germany and the Czech Republic. He pledged during his election campaign to make a speech from a major Muslim country in his first 100 days in office. The visit could add lustre to a trip that might well hampered by the difficulties of achieving any concrete progress in London on the type of global financial regulation championed by Gordon Brown during his Washington visit last week but viewed with suspicion by Congress and some in the White House. Mr Obama, who did not repeat Mr Brown's cherished "global new deal" phrase, is heavily focused on forging support for domestic financial measures while Britain, France and Germany have yet to reach a common position on what kind of new financial regulations are needed. Mr Brown called on the US government to deal with Europe as its foremost partner in world affairs, telling the US Congress: "You now have the most pro- American European leadership in living memory. It's a leadership that wants to cooperate more closely together in order to cooperate more closely with you. There is no old Europe, no new Europe; there is only your friend Europe." But the prominence of Turkey on his travel agenda underlines President Obama's broader set of policy priorities. Turkey, a member of the North Atlantic Treaty Organisation since 1952 but not the European Union, opposed the US-led invasion of Iraq in 2003 and refused to allow American ground forces use Turkish soil as a launching pad. Now, Mr Obama hopes that Turkey could help change American fortunes in Afghanistan, perhaps by permitting an expanded role for the US airbase at Incirlik as a transit stop for some of the 15,000 troops and 500 tons of cargo going in and out of Afghanistan each month. Turkey wants the US to put more focus on expanding and improving the Afghan security forces and on pushing the Afghan government to deal with elements of the Islamic insurgency - an aspiration Mr Obama echoed last week when he suggested that "moderate" elements of the Taliban could be negotiated with. Preparing the ground for Mr Obama's Turkey visit, Hillary Clinton, US Secretary of State, announced the plan after a meeting with Turkish leaders in Ankara. "We share a commitment to democracy, a secular constitution, respect for religious freedom and belief and in free market and a sense of global responsibility," she said. In an interview in December, Mr Obama said: "We've got a unique opportunity to reboot America's image around the world and also in the Muslim world in particular. So we need to take advantage of that." It remains unclear, however, whether Mr Obama use Turkey to the speech he promised to deliver in a major Muslim country. White House officials have indicated he will not but the symbolism of backdrop of the Bosphorus , which divides Europe from Asia, could prove difficult to resist. President Barack Obama caused an uproar in the British press when it was reported March 6 that visiting Prime Minister Gordon Brown received a set of classic DVD movies on his official visit to the White House during the week. Visiting dignitaries often are fetted with state dinners and typically come bearing unique gifts, which in Brownâ€™s case included an ornamental penholder made from the timbers of the Victorian anti-slave ship HMS Gannet, the first edition of the seven-volume biography of Winston Churchill by Sir Martin Gilbert and presents for Obamaâ€™s children. No state dinner was given for Brown. However, the DVDs he was given â€” based on the American Film Instituteâ€™s 2007 top 25 movies â€” included Citizen Kane, Lawrence of Arabia, Star Wars, The Godfather, Casablanca, Psycho and The Wizard of Oz, among others. The gift drew derision in London's dailies, including The Daily Mail, which considered it cheap and thoughtless. Questions arose whether the DVDs are playable in British players due to regional coding. The tabloid said Brown is not considered much of movie watcher, although there was no official reaction from the prime minister. Conservative blogger Ed Morrissey said the DVDs could have been bought at â€œa deep discountâ€� on Amazon. A SENIOR Minister last night piled pressure on the PM to apologise for the economic slump. Gordon Brown has come under fire for insisting he has nothing to apologise for. But Chancellor Alistair Darling has called on Ministers to â€œshow humilityâ€�. We were told often during the campaign that Mr. Obama would repair relationships with foreign governments allegedly damaged by the "cowboy"diplomacy of George W. Bush. But in his first weeks in office, President Obama gratuitously has offended allies, and has made clumsy overtures -- contemptuously rebuffed -- to adversaries. In a "secret letter," President Obama told the Russians he would abandon U.S. plans to put anti-ballistic missiles in Poland and the Czech Republic if the Russians would "help" with Iran. On March 3, Russian president Dmitri Medvedev flatly and publicly rejected the deal. London: The British are understandably mystified. Long accustomed to a â€œspecial relationshipâ€� with the United States, they are trying to figure out why the latterâ€™s likeable new president would be going to such lengths to distance himself from the country that has for generations been Americaâ€™s closest ally. First, there was Barack Obamaâ€™s decision to return the Churchill bust that had graced the Oval Office since then-Prime Minister Tony Blair gave it to George W. Bush as a post-9/11 gesture of solidarity. Then, there were the successive affronts during the visit by Blairâ€™s successor, Gordon Brown, to Washington last week: A seemingly thoughtless official gift (a set of DVDs of popular American films); a painfully chilly and brief press availability before the start of the two menâ€™s private meeting; and no formal joint press conference of the kind Bush afforded Blair on all but one of numerous visits to Washington (the exception a hastily arranged trip right after the September 11 attacks). The British press has offered several face-saving explanations for these serial rudenesses. Perhaps Obama is â€œexhausted.â€� Alternatively, he is simply â€œfocused elsewhereâ€� in the midst of cratering capital markets, collapsing automakers and skyrocketing unemployment. â€¢Shariah-Compliant Finance (SCF): Even though promoters of this industry, like â€œShariah advisorâ€� and al-Jazeera host Sheikh Yusuf al-Qaradawi, have described SCF as â€œfinancial jihadâ€� and al Qaeda has publicly embraced its practice, Mr. Brown has declared he wants Britain to be the world capital of Shariah finance. â€¢Shariah courts: Brownâ€™s government has begun institutionalizing the practice of separate legal systems for Muslims with the proliferation of â€œfamily lawâ€� courts where women can be treated, in accordance with Shariah, as second-class citizens - less-than-equal to male Muslims and entitled to a fraction of the property due the latter in the adjudication of divorce or testate matters. â€¢Terrorism charities: The British government has refused to take punitive action against British-based Islamic â€œcharitiesâ€� that provide money to terrorist organizations. The latest is Interpal, a Palestinian organization that even the BBC was able to figure out provides support to Hamas. â€¢Engaging with terrorists: British civil servants are paying thousands of dollars to attend a conference next month on â€œPolitical Islamâ€� at which Ibrahim Moussawi has been invited to speak. Moussawi is a top propagandist for Hezbollah. The same Brown government that prevented Dutch parliamentarian Geert Wilders from presenting his film â€œFitnaâ€� to the House of Lords on the grounds that he constituted too much of a threat to â€œcommunity harmonyâ€� is evidently untroubled by having a flak for terrorists inciting in the U.K. The irony of the evident distancing from Britain by the Obama administration is that Brownâ€™s government is pursuing policies that Barack Obama seemingly espouses. The U.S. taxpayer now owns most of AIG and Citigroup, two companies massively engaged in Shariah-compliant transactions, at odds with our constitutional separation of church and state. In this and other ways, Mr. Obama is effectively acquiescing to Islamistsâ€™ demands to establish here as in the U.K. their own, â€œparallelâ€� society observing Shariah rules, not the laws of the land. Among the concessions in the works appears to be bans on so-called â€œhate speechâ€� that defames Islam, an idea implicit in the Presidentâ€™s injunction to use â€œrespectful languageâ€� towards Muslims. Last week, moreover, Hillary Clinton effectively promised a whopping $900 million charitable contribution from the U.S. taxpayer to Hamas - or at least a future Hamas-Fatah â€œunityâ€� government. This is a part of the Presidentâ€™s determination to reset Mideast diplomacy by forging what might be called â€œspecial relationshipsâ€� not only with Syria and Iran but the major terrorist organizations they sponsor, Hamas and Hezbollah. As the Free World increasingly engages in submission to Shariah, it appears the special U.S. tie to the U.K. that served to block the global ambitions of successive totalitarian ideologies will no longer operate. Under President Obama, the question increasingly is: Will the U.S. perform that vital role alone, or succumb as Britain is doing to what Islam scholar Robert Spencer calls the â€œStealth Jihadâ€� now being mounted against every freedom-loving country? Gordon Brown's flagship G20 economic summit risks disappointing financial markets and sending shares plummeting worldwide, Lord Malloch Brown has said. Lord Malloch-Brown, a Foreign Office minister involved in the preparations for next month's London summit of the G20 countries, said that meeting must produce a substantive plan to rescue the world economy or there will be "disastrous" financial consequences. Mr Brown "cannot afford" for the summit to fail, he said. Gordon Brown increasingly isolated over refusal to apologise for recessionHis remarks echo the private concerns of other ministers who worry that Mr Brown has raised expectations for what the summit can actually deliver to dangerous heights. Mr Brown has repeatedly spoken of the importance of the one-day summit, saying it must forge a "global new deal" of co-ordinated financial regulation and economic policies, and the reform of international financial institutions like the International Monetary Fund. The stakes at the April 2 summit are so high that failure would have dramatic repercussions, Lord Malloch Brown said. He said: "If we get anodyne committee conclusions with all the substance taken out of them, the markets on April 3 will be something of a disaster zone, I have no doubt." Mr Brown last week claimed there is "an emerging consensus" around his plans. But there are signs that the G20 countries may struggle to agree on substantive action, and President Barack Obama last week pointedly refused to endorse Mr Brown's "global new deal." The US wants the summit to focus on more fiscal stimulus policies to boost economic growth, while European countries, especially Germany, are hesitant and want to focus on financial regulation. Mr Brown is staking both his political and economic credibility on the London summit. Some aides even hope that a successful meeting could eventually allow him to recreate the "Brown bounce" that lifted Labour's poll ratings last autumn when he took action to bail out British banks. "None of these leaders who assemble in London can afford this Summit to fail, the issues have become just much too immediate and much too significant," Lord Malloch Brown said. The peer, a former United Nations chief personally recruited to Government by Mr Brown in 2007, has a reputation for plain speaking. On Monday, he became the latest minister to call for an explicit government apology over the policies that led to the current recession. George Osborne, the Tory Shadow Chancellor said the Prime Minister should take Lord Malloch Brown's comments as a warning about the dangers of raising expectations for the London meeting. He said: "The Government's obsession with spin continues to risk undermining any effort to get out of this crisis. This makes them part of the problem, not the solution." Alistair Darling, the Chancellor, on Tuesday added a new goal to the G20 process, asking western European countries to pledge more money to the IMF so it can support countries in eastern Europe. Many eastern European economies are suffering amid the global slowdown, raising questions about the union's cohesion. EU leaders last week rejected a Hungarian appeal for a 180 billion euro rescue package for eastern economies. Speaking at a summit of EU finance ministers, Mr Darling said that wealthier countries must help their poorer neighbours. The continuing handover to President Barack Obama's administration has severely hindered discussions over the meeting in London next month, according to Sir Gus. Amid the worst global economic crisis in decades, the Cabinet Secretary said Number 10 was having trouble even getting in touch with key personnel at the US Treasury. Has Gordon Brown's meeting with Barack Obama restored his fortunes? "There is nobody there," he told a civil service conference in Gateshead. "You cannot believe how difficult it is." The Prime Minister was left facing claims that he had been "snubbed" after an expected formal press conference with the two leaders was downgraded to a handful of questions in the Oval Office. Sir Gus criticised the US system of new administrations appointing their own senior civil servants, saying it would be "absolute madness" to introduce similar rules here. The Whitehall & Westminster World website, whose publisher Dods organised the event, reported that he stressed the importance of continuity for projects like the Olympics. "You get to a certain point, and you can't go any further," Sir Gus said. "If there's a change of administration, you're out, and a whole new bunch of people come in who probably haven't been in government before." Downing Street said later that Sir Gus's comments about his US coutnerparts had been taken out of context and that the Government had established a good working relationship with the new US administration. "He was explaining the benefits of the British system of having a permanent civil service," the Prime Minister's spokesman said. "We have a very good and close working relationship with the United States on G20 and other issues. "I think last week what you saw was an administration that was fully engaged on the G20. That is certainly the sense that we got."